There is great awareness of the NuTone® brand in doorbells and ventilation fans. 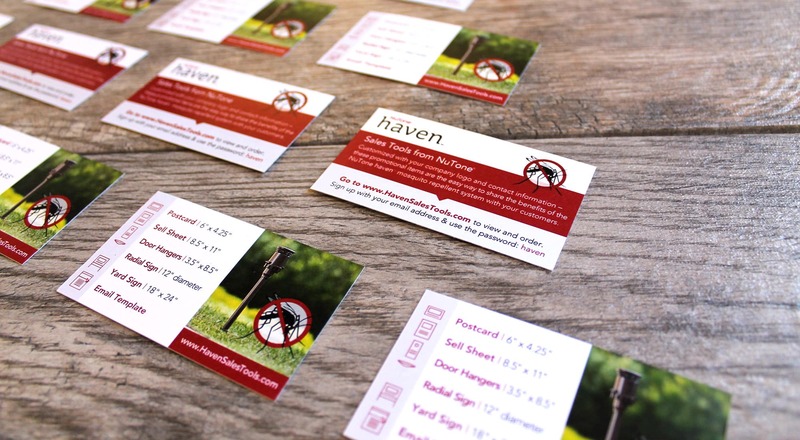 When NuTone set out to introduce a new outdoor mosquito repellant product, it was faced with not only educating its distributors about the NuTone® haven™ system, it also had to train them on the product category. 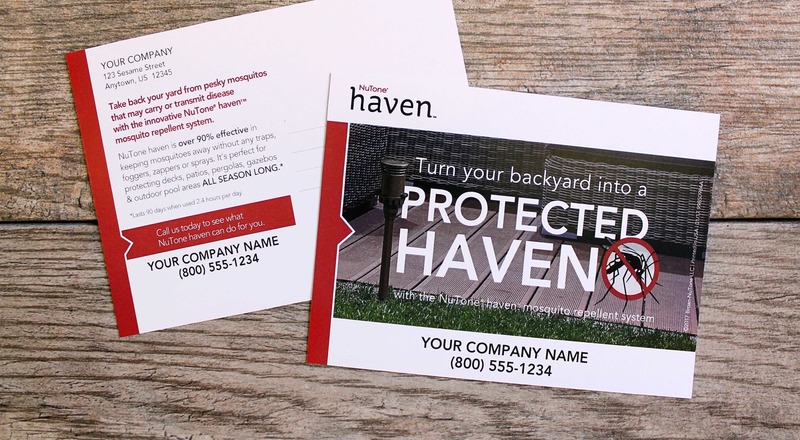 To help get a foothold in this market and to generate excitement for this new product in the distribution channel, C-22 developed and implemented a comprehensive marketing plan for the NuTone® haven™ system, which stylishly repels 90% of mosquitoes from an outdoor area. The foundation of the marketing efforts was an interactive, online training program designed to provide essential background information on the product category and key benefits to be used in selling the system. C-22 also developed a suite of promotional materials that are ordered, customized and printed on-demand with the sellers’ names, logos and contact information. 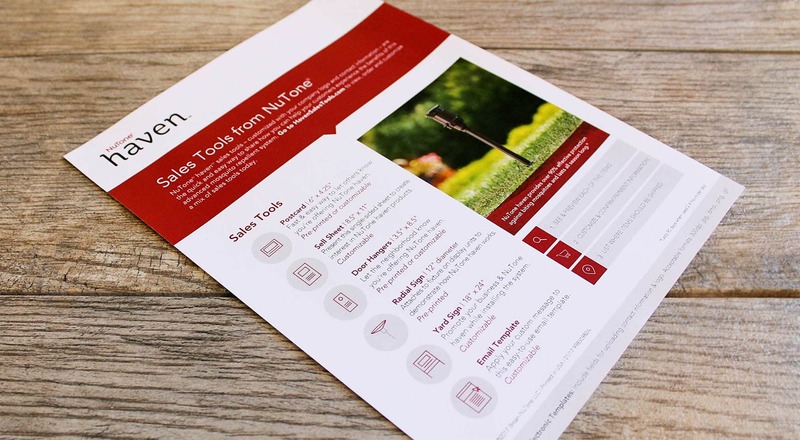 Those materials include postcards, sell sheets, door hangers, unique tradeshow signs, yard signs and an email template.